Last month we published an in-depth review on Temptu Pro's best introductotry package, the 37 S/B starter set, and now it's high time for some demos! The swatches were airbrushed on my own skin (fair, NC 20 in the Mac scale or 04 in the Tempty SB range), and photographed in natural light. 2-3 drops were used for each swatch, in order to give a better idea of the pigment. Of course they wouldn't normally be applied in such high concentration on such a small area All color groups in the 37 Starter Pack were swatched except for the base color Group. 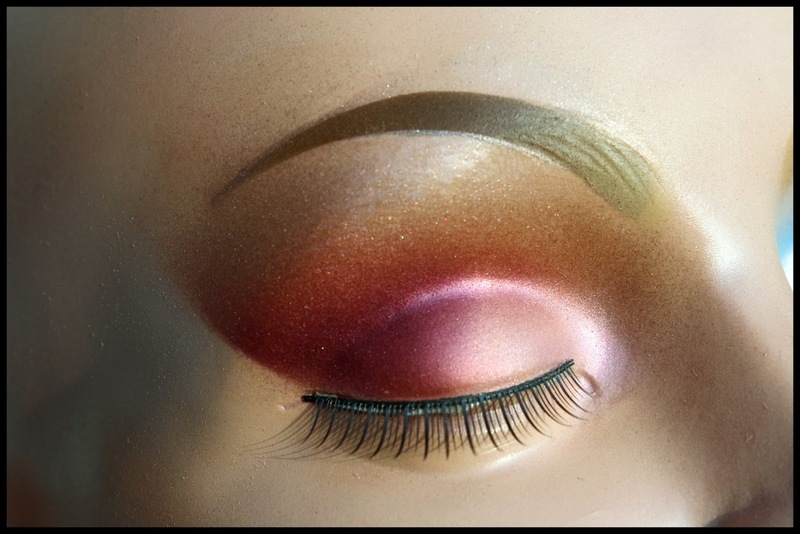 As for the two sample eye makeups in the next photos, they were made using exclusively colors taken from the starter set, in order to show you how versatile these colors can be. Again the photos are 100% unretouched and taken in natural light. While I am waiting to shoot a proper video with a model, I used a Mehron practice head for practical reasons for the sample eyeshadow combination, and there is no pretense of anatomical precision or tonal subtlety here, but like I said, my first priority was to demonstrate the potential of the shades. .
EYESHADOW HOW TO: The equipment used to achieve these designs is esclusively Temptu, namely the 2.0 compressor (Starter System) with the SP-35 Temptu airbrush. 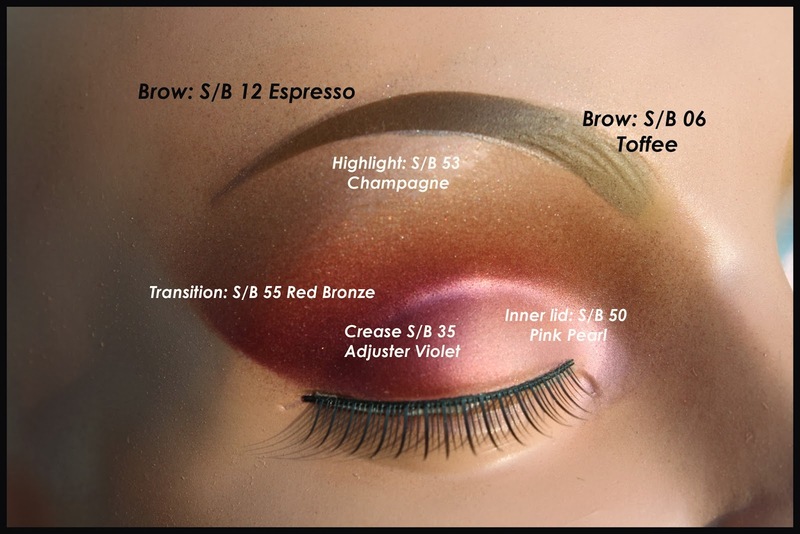 I airbrushed the eyebrows first using a stencil and two base colors (n. 6 and n.12) to achieve a slight ombre effect, then I worked my way through the eyeshadow starting with the lightest colour and ending with the darkest. The colors blend instantly and beautifully. After I applied the eyeshadow I retouched the eyebrows somewhat to get rid of any overspray. I sprayed very lightly and I let each color dry before applying the next. Setting powder can be used with care to speed the process, but I find it takes away from the beautiful glossy effect that is typical of silicone, so I prefer to dry by just spraying air with the airbrush. 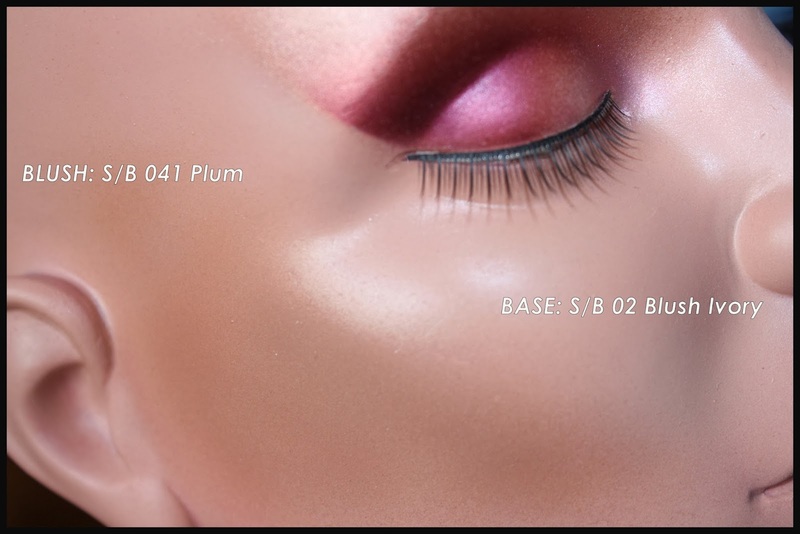 For the eyeshadow I kept the dial of the compressor at 12 o'clock (low setting), then moved it to 3 o'clock to apply the base and blush. I did not clean the airbrush at each color change, I just sprayed out each color and let the next color flush out the residue, spraying on a tissue until the new colour appeared pure. This wastes a bit of product but saves a lot of time. With a little practice the process can be very fast. 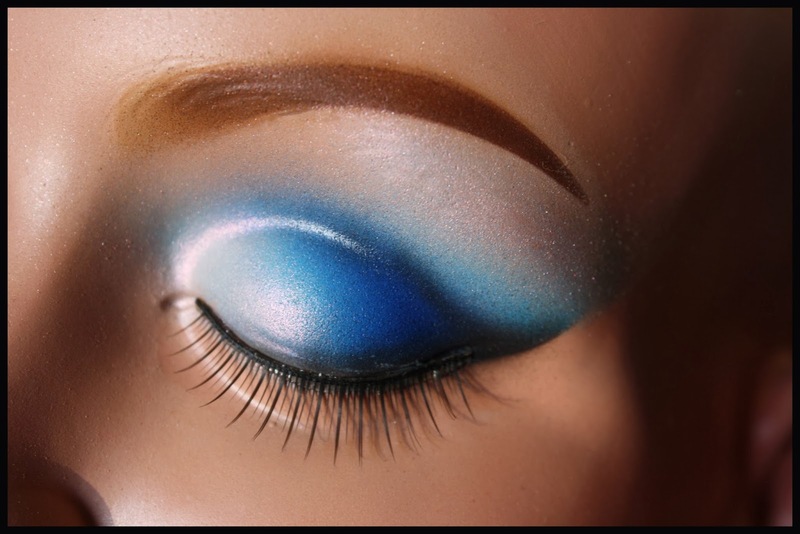 The second eyeshadow took less than 10 minutes to apply, drying time included. The makeup is beautifully waterproof, and if applied respecting the proper drying times, will last all day unchanged. 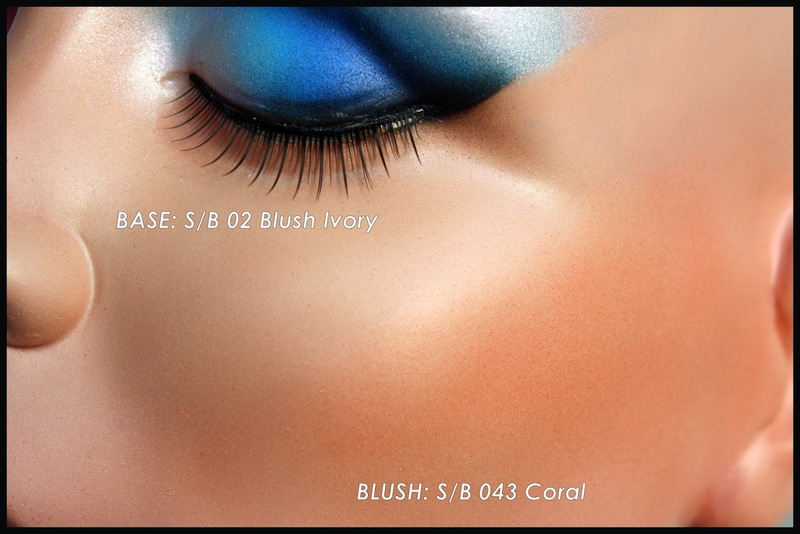 Newbies to Temptu airbrush makeup maybe surprised at how different the colours look when actually sprayed. 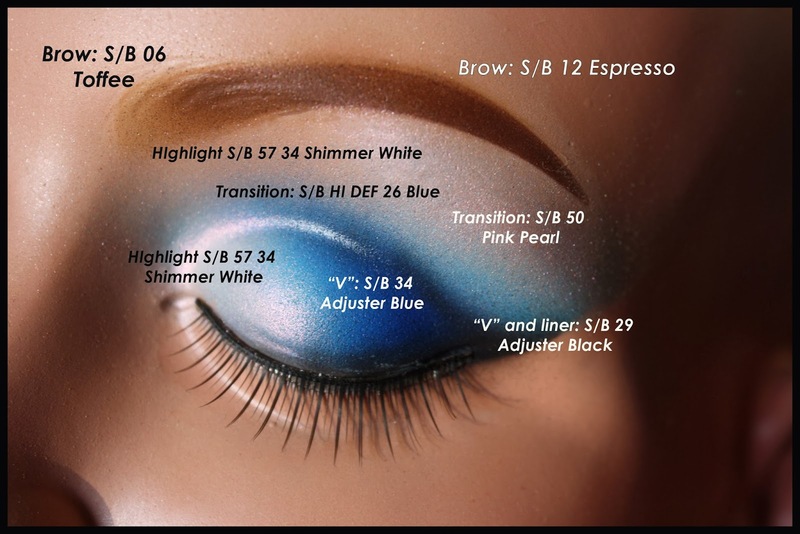 That is why I have used base colors for eyebrows, and adjusters, shimmers and colours from the HI DEF series for eyeshadows indifferently. Like we said in the review, everything mixes with everything else and the possiblilities are endless. Well, this is just the tip of the iceberg of course. Please let us know if you would like to see more swatches, and have fun with your S/B colors! Pls click on any picture to enlarge it. sono rimasta letteralmente senza fiato dalla visione di queste foto! spettacolari davvero! Che sfumature meravigliose, colori pieni...sono catturata! These colors are really Ultra - magnificent ! They have a really beautiful writing effect !The nuances are then really Wow!! A great demo to know about how to use the tool such a makeup brush to have better result as it is. In fact a review is very helpful to know about the performance and specification of the tool as discussed in this post. The page 3 will let you know about such a review as it is. Have a go!